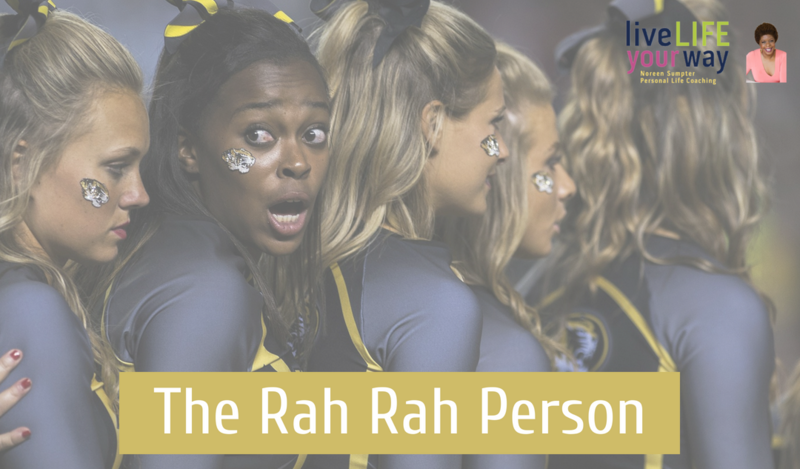 For years I called myself the “Rah Rah Person” (like a cheerleader) until I found out that I was being a coach. In July 2005, after taking classes at NYU, I declared myself a personal life coach. Today, I know that it has been the best choice in and for my life. I no longer wanted to be a Real Estate Broker, and it was a difficult choice to leave the industry. At the time I was happy, and everything was clicking. Then, why was I crying on my couch? I was done being a Real Estate Broker, and I didn’t know why because I still loved it. I discovered I could leave something that I loved. It was the end of a career, and I didn’t have to hate it or make it wrong. It was time. I’d be miserable if I stayed and so would my clients. I let my license expire, and I chose. You can do this even if nothing seems wrong, even when things seem to be working. Even with my new certification and declaring myself a personal life coach, it was scary. I don’t remember being scared of being a realtor. It had tangible, physical properties. Whereas with coaching, it’s all intellectual property, and the work was from the ground up. I had to relearn how to listen and how to hold space and a slew of other skills. Rewiring and understanding that what I saw was not necessarily so and taking it with a grain of salt or something. I recreated and stretched myself out into the world to generate clients. I messed up, made mistakes and blunders. Without clients, I was not a coach. Being a good coach was not enough. I had to enroll and register people to become my clients and use me. I wanted clients but not just any clients, extraordinary clients who did the work and got results, clients who were able to co-create and grow with me and take action to get the results they said they wanted and be open to results they did not know they wanted. They had to grow to like and trust me. I had to be able to say the things that no one else would dare say and have them commit to making the difference they said they wanted. 13 years in, I have a career I love, and people still ask me, “Noreen, what does a personal life coach do?” In a nutshell, I help people create and manifest their dreams. I am a miracle-maker. My clients now see themselves powerfully and know they deserve a life they love. I had the honor of working with Noreen Sumpter during several of her workshops and they were all incredible experiences! She is a key figure in my growth and development as a young woman. I continue to be deeply grateful for the gift and blessing that she is as a coach and leader. She is someone who lives so that others may awaken to the people they truly are. She is a beacon of light in my life. I can confidently say that there are many, many, many people in this world who have also worked with Noreen and who feel the same way! I celebrate because I now contribute in ways that I didn’t dream of, and I am loving me and my life. My clients come to live and be extraordinary in their life. They are now shiny and bright and confident. They own their power, speak their truth, and live life on their own terms. I love my clients. I support them to build confidence and develop self-esteem so they can connect with their true selves. My clients are accountable to own their power. They get out of their way so they can accomplish dreams. I love my work. I do kick their butts if it is necessary and will terminate our relationship if they are not doing the work to get the results they want. It has opened a world of joy and happiness for myself and my clients. It has allowed me to grow develop and create the life that I love, and in turn that my clients love. This year I celebrate 13 years! I applaud my success I have given myself permission to be, do and have- to own my voice, speak my truth, and live life my way. I stand in my belief that finding our path is critical and that doing what I love, I give, knowing that I am the source of my abundance and that helps me prosper, and others flourish. It’s a win-win. Congratulations, to you my dear, Noreen Sumpter. Keep expanding, growing, and developing, sharing your gifts with others.